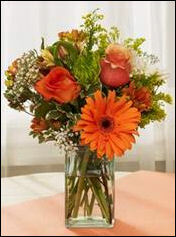 It may be getting cooler outside, but you can still enjoy the beauty of fresh flowers inside your home. 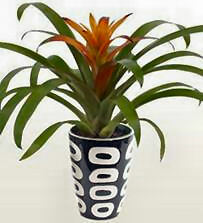 They brighten up your space, can be used as decorative pieces, and even help improve your mood. 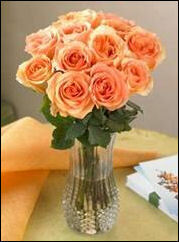 Flowers can easily take the place of boring everyday table décor. Coordinate bouquet colors with your space, or place a bright bouquet on a shabby old table to draw the eye and lend to a fresh new look. Smell is one of the most powerful senses and can trigger instant memories. Choose familiar bouquets that bring back fond memories of growing up in the country, taking a final bow on stage, or even those used on your wedding day. 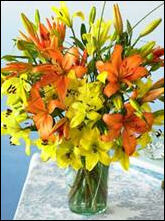 Fresh flowers have been shown to stimulate creativity while promoting concentration. Add flowers and fresh plants to your child’s bedroom or play area to brighten the space and grow their imagination, while encouraging responsibility. Providing workers in underdeveloped countries everything from zero-interest loans, childcare, healthcare, education, environmental protection, supplies, and more, each purchase from Organic Bouquet helps to improve the life of a flower farm worker, their family and the local community. They are also a carbon neutral company, partnered with ClimateFund.org in a carbon offset program supporting re-forestation projects in Guatemala. Bromiliads! I love them . A little milk poured into them lkeeps the mossies away too.